Take accountability. No matter who screwed up to cause the problem, the person who receives the complaint MUST be able to apologize, fix the problem and correctly assess whether the manager is needed to intervene. Acknowledge long waits. Too often waiting to get served — whether it’s in a restaurant, a quick serve establishment, or a store — we are made to feel as if we’re the inconvenience. 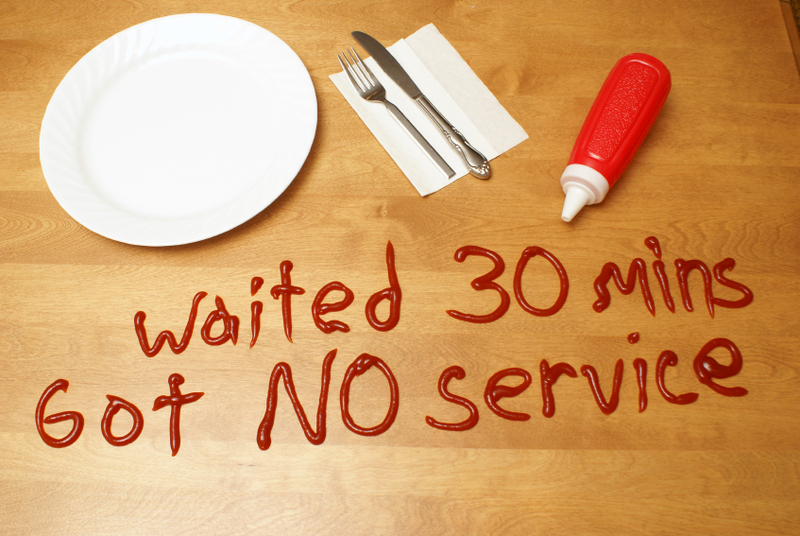 Coach your team to say, “I’m sorry that your wait has been so long. Thank you for your patience.” Then get down to business. Know what customers want. That’s easy, right? They want you to fix the problem. Well, yes, but first they want to express their feelings… and they want you to understand exactly why they’re upset. Give it to them. First, tell them you are going to take care of their problem, then listen like your life depends on it. Ask questions if you need to and don’t interrupt. Only when angry customers are finished having their say should you begin speaking. Find a solution. Remember, you are solving a customer’s problem… you are not offering an appeasement. Ask customers how they would like their problem solved. Then, if you can, comply with their solution. If you can’t, negotiate as politely as possible. Smile more. It sounds basic, but research shows again and again that it’s hard to stay disgruntled when someone is smiling sincerely at you. And, after all, ‘tis the season to be jolly, right?